Also known as the Country Rabbit, it is a breed group and the only rabbit native to the Balearic Islands. It has long been present on country estates, where it has been able to survive despite diseases and the introduction of more select foreign breeds. This rabbit is easy to maintain and fertility is high, which favours the production of high-quality meat that has traditionally been used for household consumption. The Association of Ibizan Rabbit Breeders has four partner farms and today there are 557 animals registered in their Genealogical Book. 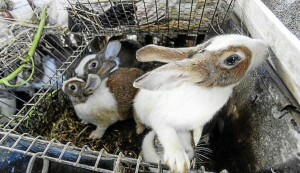 The Association, together with the Council of Ibiza, the Agricultural Enhancement Service of the Balearic Government and the Complutense University of Madrid, is currently designing a strategy to carry out their characterisation and differentiation from other breeds of rabbit in order to achieve official recognition as a breed. These studies are simultaneously linked to finding a local market niche for this type of meat, as it is very nutritious and low in fat, and for its skin, which due to its variety could be presented as a very attractive option for typical Adlib fashion of Ibiza. At the beginning of the 21st century, there were already records of a small porcine population of a primitive black layer, a morphology which has barely evolved and modified with differentiated ethnic characteristics (Tascón, 2002). The most accepted hypothesis of its origin is that Ibizan settlers at the end of the 17th century and the beginning of the 18th introduced to Formentera a small number of pigs from the so-called Balearic black group (Aparicio, 1960) that lived on the island of Ibiza. The inbreeding reproduction between these specimens and those already in Formentera, together with the genetic selection made by farmers and the probable influence of the common pig, gave rise to this typical population, geared primarily towards slaughter for household consumption (Tascón, 2002). In 2008, thanks to the effort and dedication of some farmers in Formentera to preserve the black pig, there were still a couple of specimens possibly carrying the genes of the pig described above and which had already completely disappeared from Ibiza. In the same year, the Association of Black Pig Breeders of Formentera and Ibiza was created, and the breeding of this type of black pig in Ibiza was encouraged again. In 2009, the breed group of the Formentera and Ibiza pig was recognised and a recovery programme was launched so as not to lose the genetic makeup of the original black pig, which was in a really critical situation. 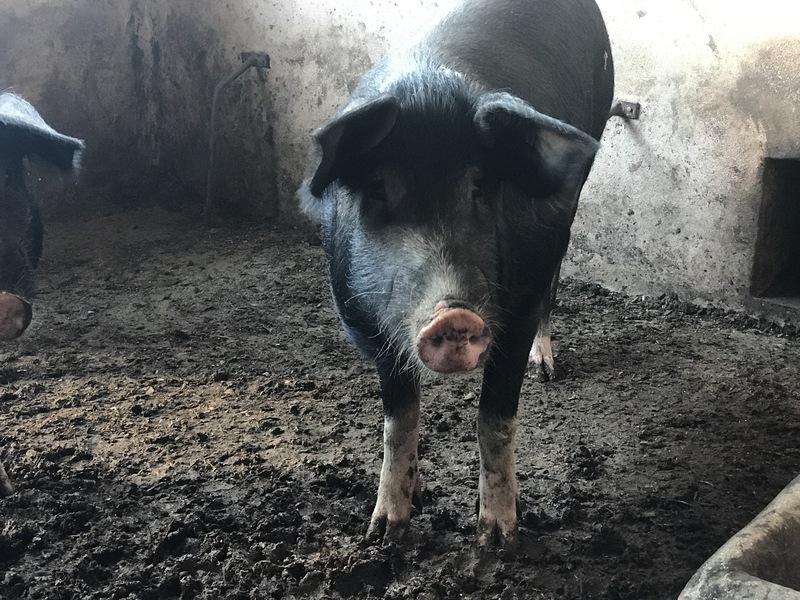 In 2010, a crossbreeding programme started with animals retaining the original genes, using purer males of the Formentera breed and females from another similar breed, in this case the Mallorcan black pig. Five farms are still members of this programme today: four on the island of Ibiza and one on the island of Formentera. It is complicated to establish a true census of pure animals due to the nature of the recovery programme, which is attempting to achieve a final base population to build on this conservation programme. In parallel, there is a germo-plasma bank that supports this programme to prevent its disappearance.